Charles Oyugi is ARiD's Project Officer - Democratic Governance in-charge of programs in Pader and Agago districts. 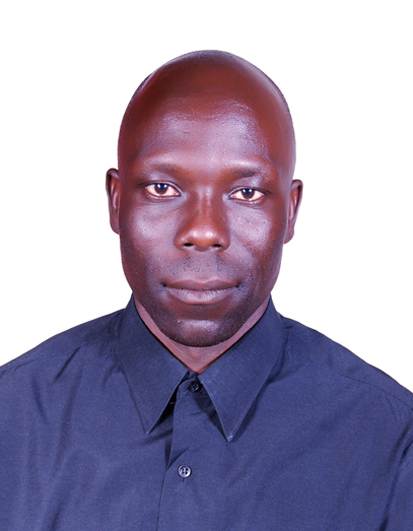 Charles holds a Bachelor degree in Development Studies from Makerere University, Kampala, Uganda. Whilst an undergraduate student, Charles was awarded certificates in various leadership position he held at the University from 2008-2011. In addition, he was awarded more certificates of participation from different on-the-job trainings by national and international agencies in human rights, advocacy and good governance. Charles brings to ARiD a wealth of experience in Human Rights, dispute resolution, mediation and coordination of indigenous groups' access to justice through legal support. He previously worked with Human Rights Focus (HURIFO) (2012 - April 2018) as a Human Rights Monitor (HRM) in-charge of Pader and Agago districts, where he investigated, documented and reported on human rights concerns. As a member of the Human Rights Defenders Network Uganda, Charles provides quarterly human rights situation reports to National Coalition of Human Rights Defenders Uganda (NCHRDU) and Legal Aid Service Providers Network Uganda (LASPNET).